A terrible crime has occurred. At first glance, it looks as though nothing was left behind. But when bloodstain analysts arrive, they find tiny drops of blood invisible to the naked eye. 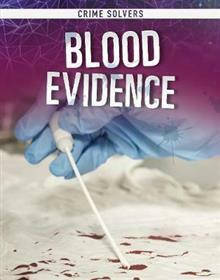 Find out about the techniques and tools bloodstain analysts use to help bring even the toughe... read full description below. A terrible crime has occurred. At first glance, it looks as though nothing was left behind. But when bloodstain analysts arrive, they find tiny drops of blood invisible to the naked eye. Find out about the techniques and tools bloodstain analysts use to help bring even the toughest cases to a close.